Pls. Pray for me that the sadness, loneliness, self pitiness,fears and worries that I'm feeling right now will disappear. It is just so hard feeling like this everyday and I really wish to die if it is Gods will. I really want to rest already. I can't hold on anymore everyday its just getting too hard, i have no one to talk to about my problem. I feel so alone, what should I do? Where should I start i really don't know? Hello, how are you today? I hope the sky seems a little bluer, the clouds a little whiter. These are also available in hard copy. Do you know about these already? The volumes have been a great help to me during a dark time in my life (in 2009). 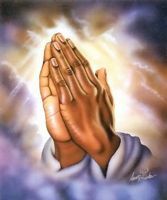 Keep on praying, our Lord is not sleeping, I know He will provide you with answers that you don't expect to happen. Whoever you are just don't up, talk to the person/s who causes your problem/s, talk to GOD, I'm sure everything will be alright. Keep on praying. Offer all your problems to the Lord. In time, all this shall pass. you are not alone, Jesus send us the wholey spirit. to strengthen us even in the most difficult situations. Do not give up have hope invite the wholey spirit in your life and you will wonder what miracles he can do in your life. pray until something happens. The Virgin Mary will not dissapoint you . She had never done that before. B strong and pray with faith something good in your life will happen. I suggest you have recourse to the Blessed Virgin. Pray the rosary. Our Blessed Mother experienced what you're experiencing - her Son was mercilessly tortured and killed before her very eyes. Pray to Mama Mary. She will not let you down!